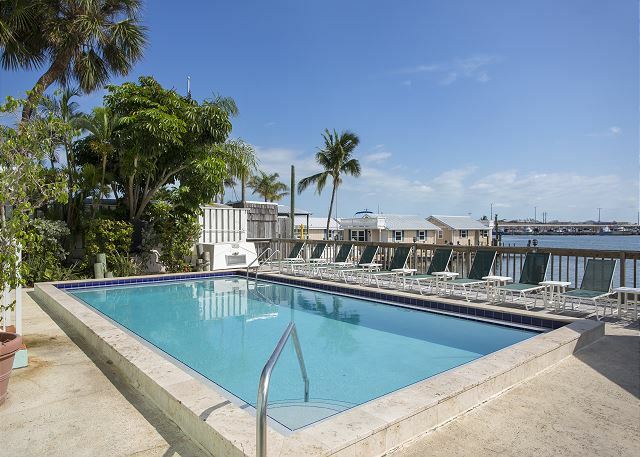 This was the perfect place to stay in Key West if you plan to be on the water. I brought my boat with me and the unit came with a boat slip. 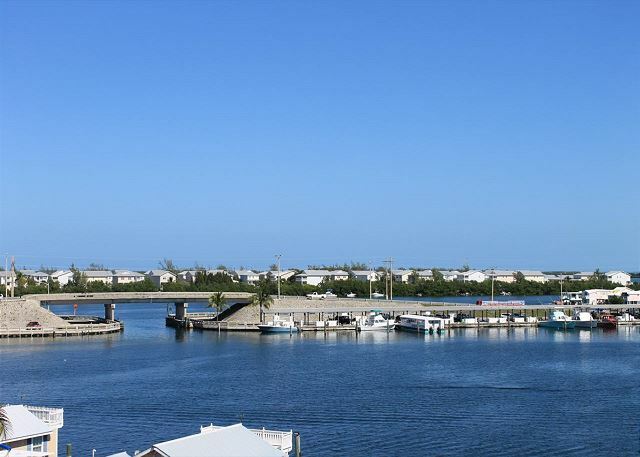 The condo was very comfortable and spacious, and the boat ramp is just across the marina, couldn't be any easier. We brought our 16 and 18 year old daughters and 3 of their friends to Key West for an overdue 16th birthday. We rented bicycles through Pelican Landing and enjoyed water activities and the various beaches. The location was perfect and the Property Manager and Staff were wonderful, very accommodating and attentive to our needs. The property was exactly like the pictures and descriptions. It was clean and suited our needs beautifully. We highly recommend this property. There were 2 couples in our group. This spot was perfect. Close enough to the main areas, but away for the 'busy' areas. We enjoyed sitting on the balcony watching the boats and birds. The unit was bigger than we thought it would be. I'd definitely stay there again. Key West 60 yr "reunion"
Great setup for two couples! We traveled with my parents (my Dad was a Navy man stationed in Key West in the late '50s). Loved watching the activity in the bight. Esp. the fishing boats and floating tiki bar! Elevator access was great for the folks. Really clean accommodations. Comfortable beds. Well equipped kitchen. Staff was excellent! Very accommodating with late check-in and printing departure boarding passes. The only drawback was having the Key West Emergency services located across Rt.1. When we were sitting on the balcony, we heard the Fire/Ambulance whenever they left. The noise was greatly reduced when inside the condo with sliding doors closed. Trip highlights: Conch Train tour (my parents were there when the first tour went out), drinks and entertainment @ Sloppy Joe's on Duval, and a fabulous dinner @ Blue Heaven. Favorite breakfast: Harpoon Harry's! Our condo was fully stocked with plenty of towels, fresh sheets, and was very clean. I would recommend Pelican Landing. 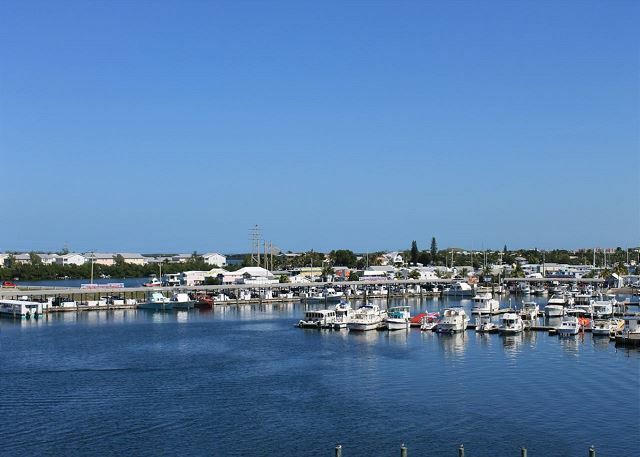 As part of a marina resort, we enjoyed the view, the parking, and location. The staff was extremely helpful and attentive. We could not have been happier with our stay at the Eleuthera Retreat condo. 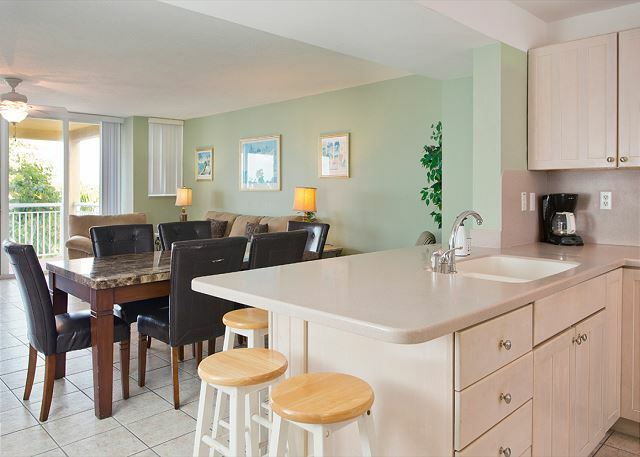 Location was great and the condo was very spacious and clean, and had everything we needed to make our vacation wonderful. Especially liked the large balcony. 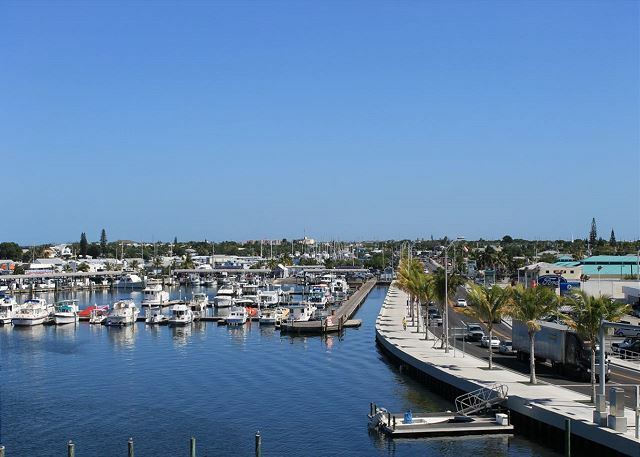 Everything was as expected, clean unit, well stocked kitchen, cool A/C, best boat dockage of any rental in Key West and an awesome free ice maker for renters and owners! We greatly appreciated the hospitality extended by Jaime and her staff. Our encounters with all of the staff were excellent and the facility was very clean. Our family of 4 spent the entire week fishing, diving and lobstering. Many great memories created and lobster caught. We patronized the establishment next door on several occasions and hope they do well. Their live music on Friday night was enjoyed from our balcony. Highly recommend for the avid sportsman due to great boat access/docking, processing station, and convenient location to Duval/restaurants. Really do not want to share the secret. The unit has everything we needed. Staff was friendly. It has a large private balcony. First off let me say that the pictures don't do this place justice... Number 1 its bigger than it seems in the pictures, much bigger. Also its even nicer in person than it is in the pictures. 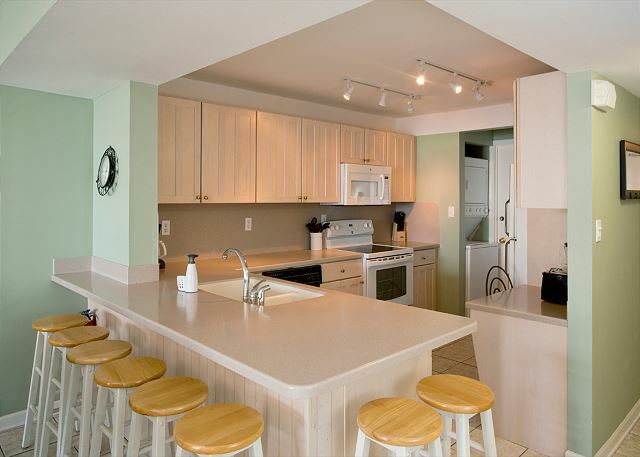 Nice/large kitchen, washer and dryer, both bedrooms are huge. Balcony is enormous as well. The only thing that would make this place any better is if there was a suitcase full of cash sitting on the table waiting for you when you checked in. I loved my stay, and will likely book it again for fantasy fest next year. This is our 10th year coming to Pelican landing. I love the weather protected boat dockage inside Garrison Bight. The accommodations are comfortable, cool and clean. The staff works very hard to satisfy the needs of all of us intense lobster hunters and fishermen during this first week of the season. Great cleaning station for your catch, complementary ice for your boat ice chest. I have already reserved the same great unit for next year! we rented two condos for a family reunion and they were great: clean, spacious, comfortable. We totally enjoyed our 2 rental units. The staff was able to put us side by side with an adjoining outside deck. 100% recommend. The women who assisted us on check in were exceptional - very patient and accomodating. Location was perfect and the layout was perfect for all of us. 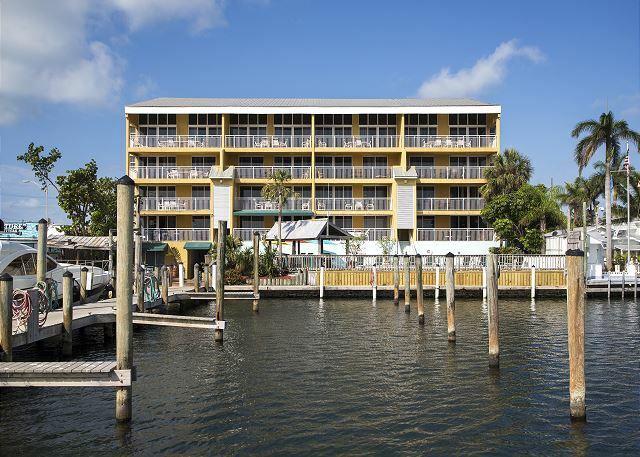 This was our second stay at the Pelican Landing. Previously we rented one of the Penthouses. In this trip we rented two apartments since we were traveling with our children and their two small beagles and the owners will not allow more than one dog per apartment. Fortunately our apartments were connected through their balconies and it was as if we were in one apartment. Just like last time we enjoyed the spacious apartments. There were a few minor issues but they were inconsequential (spring in dishwasher door not working, dinner table legs were loose, half of the toaster was not working). We informed the management and they promptly took care of the issues. Don't be discourage if the management feels a little impersonal during the reservation process. We will definitely stay at the Pelican again. A nice place but too far from the action of Duval St. At least a mile of walking to get to where we wanted to be each day. Very clean unit but can tell it is definitely a rental. Staff very nice and helpful. Perfect location, very clean and well furnished. Enjoyed the view and the pool. Pelican Landing, no kidding, we sat on the deck and had an enjoyable time watching the Pelicans on the dock daily. The view from our unit was grand, boats, people and of course "the Pelicans". I was told the unit is going to be updated. It does need few repairs and we sure would entertain another visit there. This was our second time staying at Pelican Landing. Love the view. Great location. Nice unit. We stayed in unit 204. The condo was nice enough and the view of the harbor and the weather made it special. Pleasant stay, good view, awesome city. I've appreciate our stay however we had some unexpected guests ( 2 cockroaches). Looks like they are quite familiar with the apartment. Was the perfect place for a group getaway. Clean, quiet, well located. The team worked with us to accommodate changing poor weather conditions. Stayed here for the second time in past 10 years. Both times with bachelor parties. It's inexpensive and about a 20 minute walk to Duvall. For the price you can't beat it. This is a great location with easy access to anywhere else on the island. Close enough to Old Town. 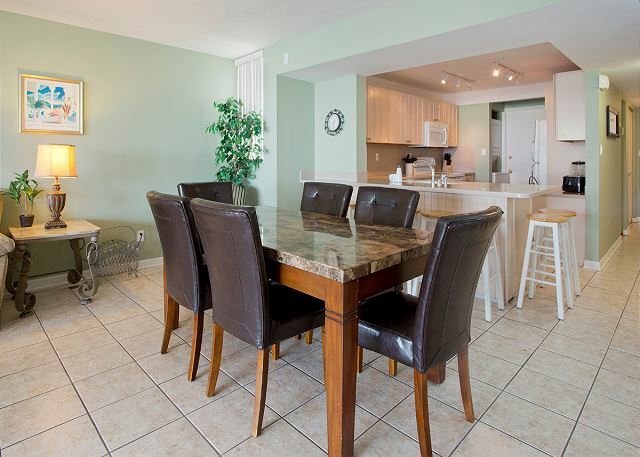 Super spacious unit and nice deck overlooking Garrison Bight. Hello Anthony, Glad you enjoyed your stay. Hope to have you stay with us again. Great location especially if you bring a boat. Large condo! Alexandria was excellent arranging our tours.Condo has everything,even beach towels.Not within walking distance of Duval St. but took taxi,cheaper than parking downtown.Condo building very safe for family,even need key to get on elevator to floors.Quiet,except road construction going on for our visit,could not hear when inside condo,but annoying when on balcony.I would highly recommend this unit since it is an end unit you get this cool breezes when on balcony. Hello, We are glad you enjoyed your stay! We look forward to seeing you and your family again soon. O apartamento é amplo e confortável, com duas suites grandes. Para mim que viajei com duas filhas pequenas foi ótimo. Me and seven of my friends stayed at The Eleuthera Retreat. It was perfect! Plenty of space and everyone slept comfortably - with the exception of the pull out couch but I've never heard of a comfortable pull out couch! We brought an air mattress and it worked out great. We cooked out on their grills and hung out by the pool which was great.The property managers were awesome and very helpful. We took cabs to Duval which was $4 a person. Not bad. Overall they made my birthday weekend a wonderful experience. Thanks! Great location and easy to get to everything. The only downside was the road construction all hours very noisy. The project not to be complete for two years Unit out dated and in need of repairs. Nice apartment with everything you need. 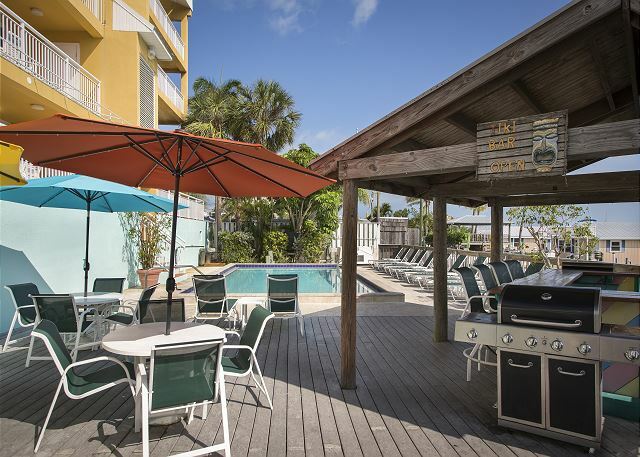 Close to Duval and all the attractions. Everything went pretty smoothly. We got a noise complaint from some of the other guests, but that may have been our fault since we were up past 4 both nights of our stay, and there did seem to be some families staying there. But we hung out at the pool during the day and had no problem sharing it with the other guests. Duval street is a $3/person cab ride or a twenty minute walk. your choice. Condos are good size, we had no problem getting our 8 guests comfortably into the Eleuthera. Good times. The apartment was the ideal set up for a group to share. It was VERY clean, fully stocked with pots, pans, coffee maker, etc., in excellent condition overall. The location was a short walk from town but not very far at all. The pool was well maintained and the office staff was super helpful. It was an easy place to stay and very enjoyable overall - I'd come back anytime! Full retreat worked out great for our entourage of 7 people. Room was great warm clean and well equipped. Too close tom US1, tight parking, uncompfortable bed, view only harbor. Few english speaking staff. Overall excellent accomodations. I could live in Key West! This is a great place to stay. Spacious and easy to get to. About another review: we too had black on our feet/socks when walking around the place - but we learned from our boat captain that the whole island is like this because it is coral dust. He washed off the floor of the boat because it was all black from people walking on the deck (which is constantly washed off) onto the boat because you just can't get away from the black coral dust since the island is all coral. Great condo, great location, & wonderful staff!! Very nice rooms and the staff was very kind. 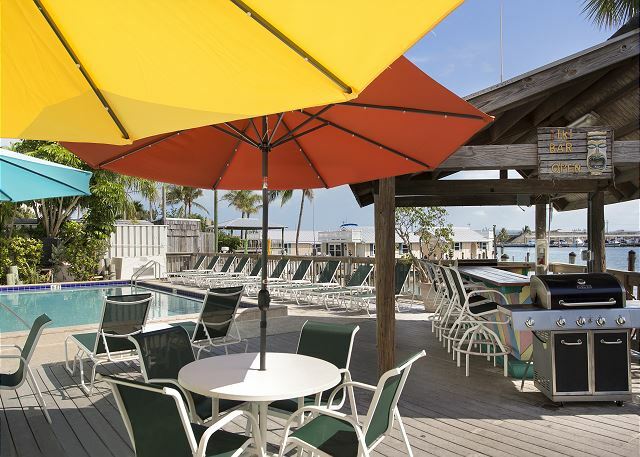 This is one of the best places to live in Key West.We stayed there for 4 days and had good time with my family. Kids loved it too. the water front is too good for boat. we prefer staying back there again. Thank you for wonderful accommodation and facilities. very nice, clean and spacious condo. great balcony. very convenient to have your boat docked outside your condo. 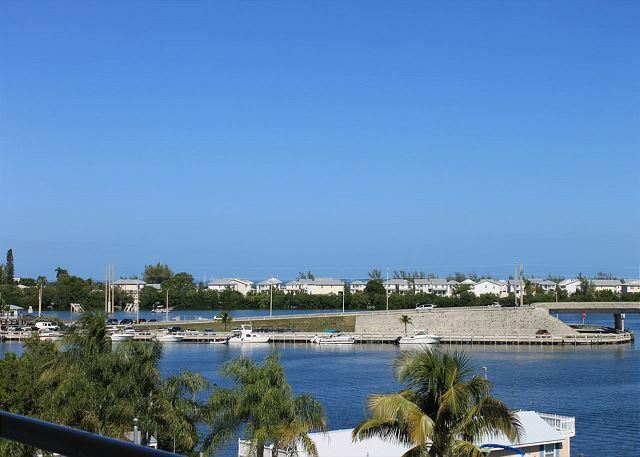 easy to get to major areas of key west from the condo. Safe, fun place to stay. Great location. Cannot wait till next year,wish we could have stayed longer. The condo was nice and roomy, we had a great time. The floors made your feet black. The neighbors were noisey a few nights. The balconies were great, beautiful view and lots of room and it was nice that we were able to move between our balcony and the one in the next unit. The property manager Jaime,is fantastic, she really went out of her way to accomadate us. it was appreciated! The place was great. The only complaint that I had was the floor was really dirty. In the future, I would recommend that the floor be mopped in between each guests stay.